The R100 Series magic tee is a versatile four-port hybrid which can vectorially add, subtract or divide two signals. In its most common use, it splits an input signal at the H or sum-port into two outputs of equal amplitude and phase at the colinear ports, with typical tracking of 0.3 dB and 5º. Used in reverse, the tee may also combine two in-phase or out-of-phase signals into a common output with combined loss under 0.3 dB. For low and medium-power cases not requiring out-of-phase splitting or combining, the R100-L series may be used. It has the E or difference port internally terminated leaving only three accessible, well-matched ports. Due to their outstanding electrical characteristics and superior construction, M.E.C.’s magic tees have been selected for the harshest environments of ECM systems onboard many of the most advanced military aircraft. 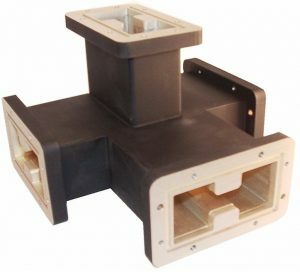 They exceed the requirements of MIL-E-5400 for non-conditioned compartments and have undergone extensive qualification testing including high power, temperature, altitude, vibration, shock, humidity, salt spray, sand, and dust. 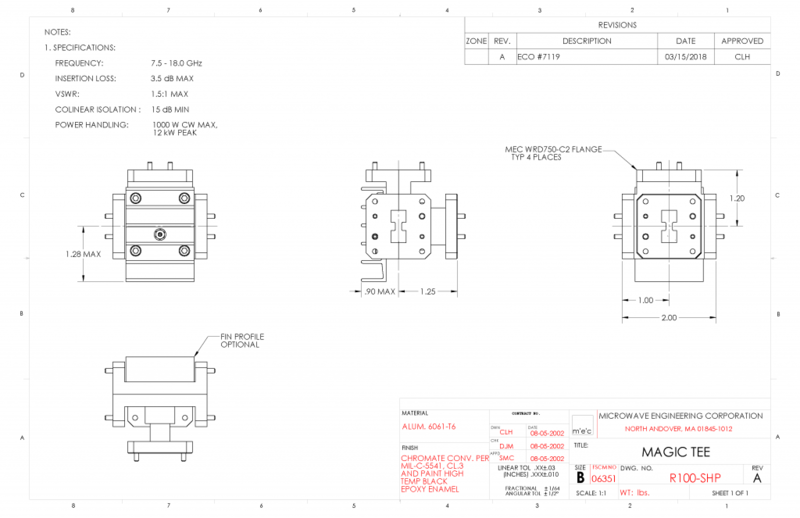 R100 magic tees are available with many options including other mechanical configurations, pressure sealing, higher power versions and a large assortment of waveguide flanges or coaxial connectors. 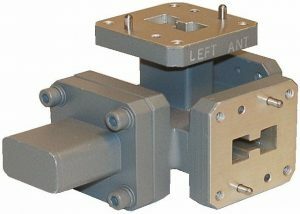 They may also be networked together into N-way divider/combiner assemblies for high power summing and phased-array applications. 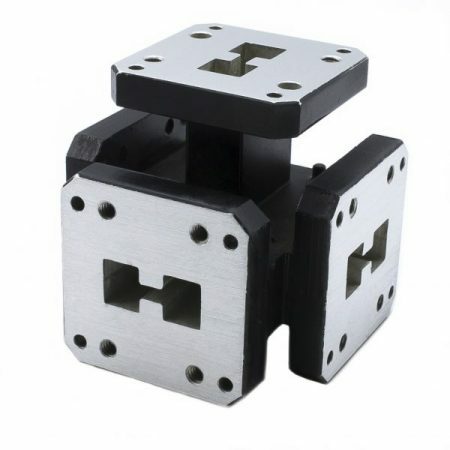 Units are made out of aluminum, flanges are cover type all tap, finish is chromate conversion per MIL-C-5541, Class 3, and paint is high temperature black epoxy enamel. Power Split: 3.1 ± 0.3 dB typ. / ± 0.4 dB max. 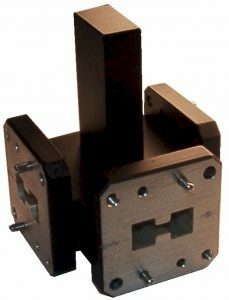 Isolation, Co-Linear Ports: 17 dB typ. / 12 dB min. VSWR: 1.3:1 typ. / 1.5:1 max. 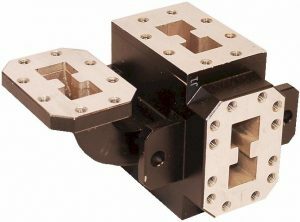 Isolation, E – H Ports: 30 dB min. 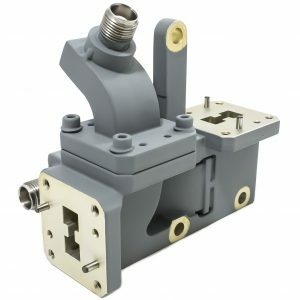 M.E.C.’s R100-SHP is an industry proven, full band, high power, double-ridged WRD750 magic tee providing interconnect capabilities for combining TWO – 500 W CW transmit signals or splitting ONE 1 KW transmit signal under laboratory environments. Out of band, frequency specific models, are also available upon request. (1) Please contact M.E.C. with your specific requirements. All customer designs are welcome.